The Order of the Forge is coming! 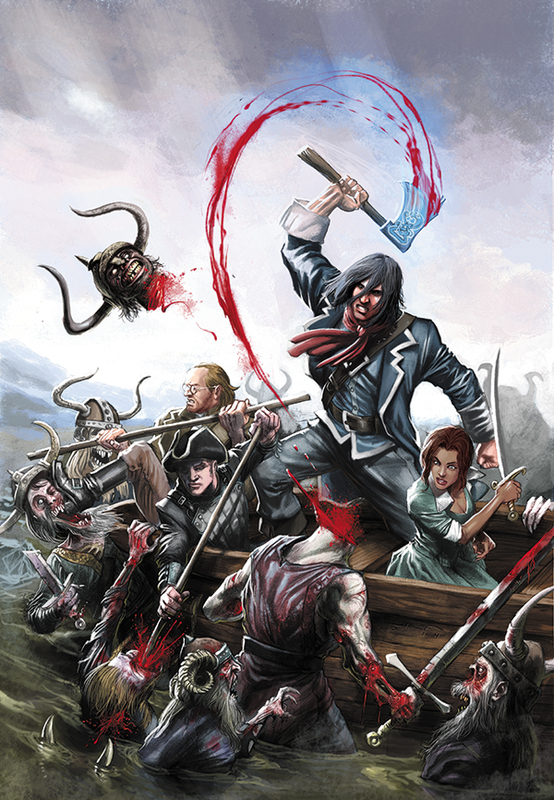 In spring 2015, creator and producer Donn D. Berdahl of Bronco Donn Entertainment and Dark Horse Comics, in association with Home Plate Entertainment, will present a tale left out of the history books. Set in 1753, this comic shows a young George Washington who ain’t your schoolteacher’s George Washington; this is The Order of the Forge! Victor Gischler (Deadpool: Merc with a Mouth, Wolverine: Revolver, Angel & Faith) writes a three-issue miniseries that will surprise and shock scholars everywhere. 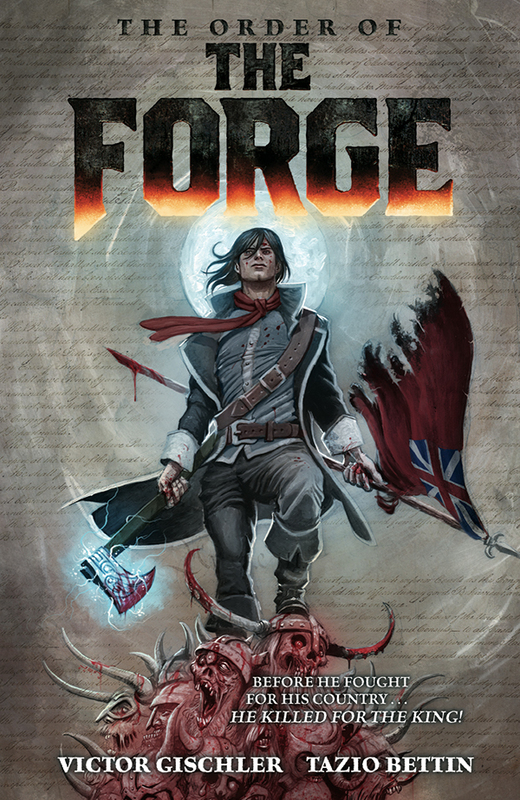 Based on an original concept from Donn D. Berdahl and a treatment by well-known British author Andy Briggs, The Order of the Forge has “humor, vulgarity, and at times brutality,” according to Comic Bastards. This series is a must-read for fans of Abraham Lincoln: Vampire Hunter and all other historical fiction works! Before he fathered a nation, young George Washington forged his legend in blood! Before he fought for his country, he killed for the king! Imbued with the mystical powers of America’s original inhabitants, George and his superpowered axe—along with his friends, a debauched, middle-aged Ben Franklin and a young, rebellious Paul Revere—must stop an evil colonial governor who wishes to rule an empire! The Forge #1 is on sale April 29, 2015.